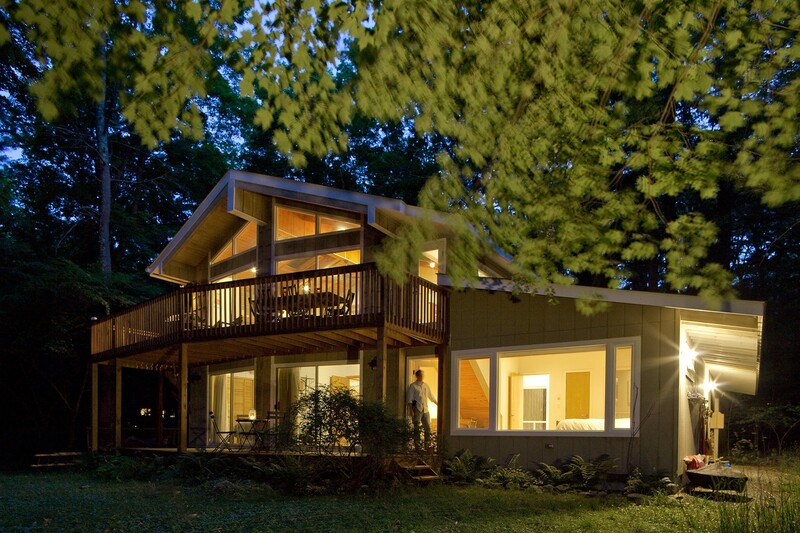 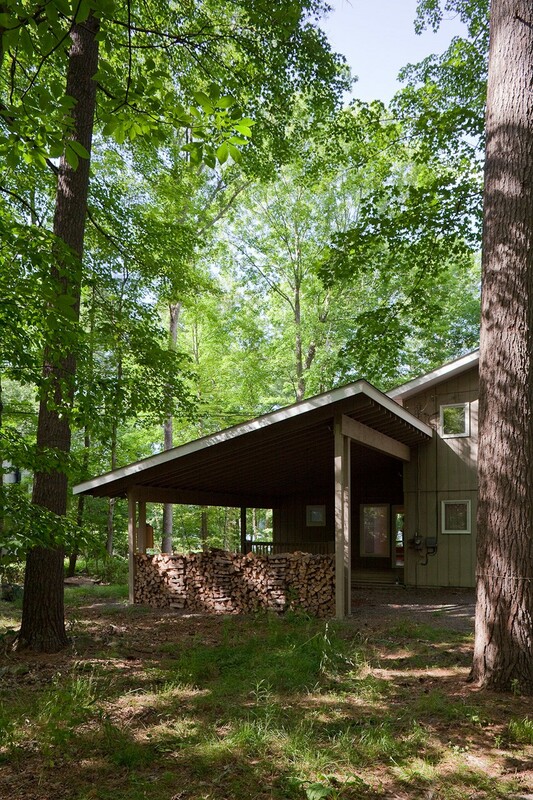 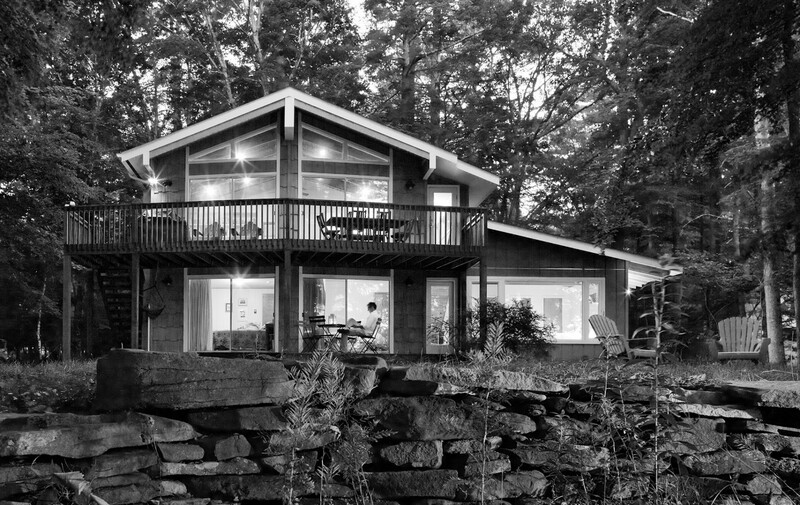 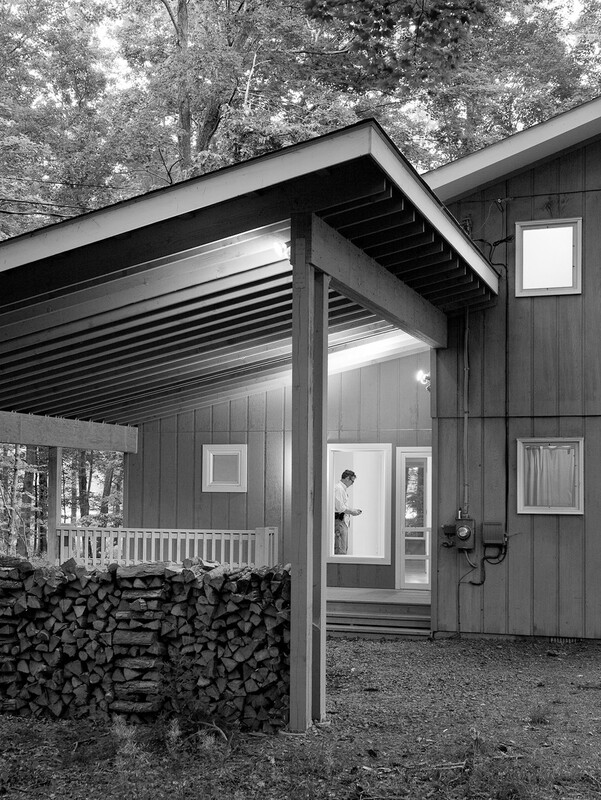 An intimate lakeside cottage framed beautifully by dense woods. 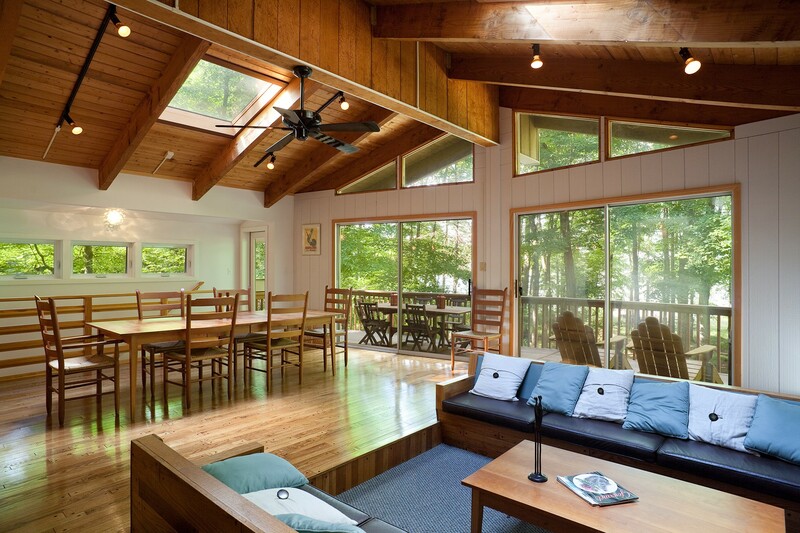 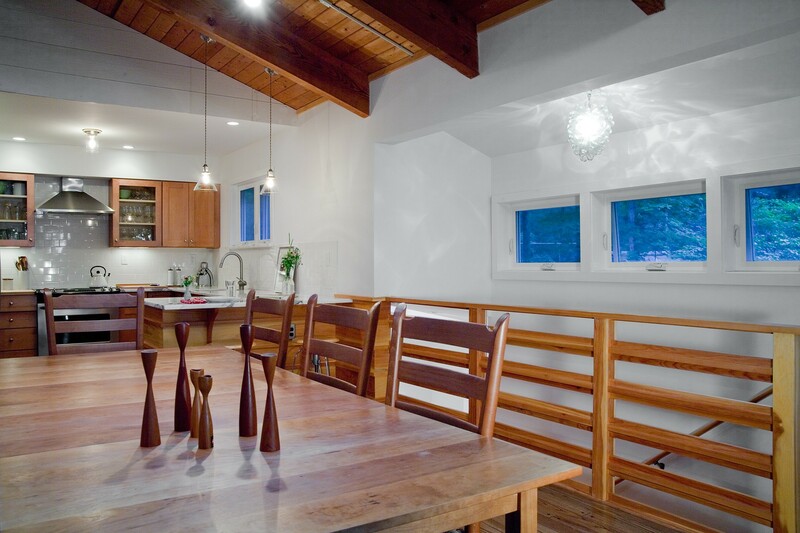 A rustic, wood-framed ceiling sets off the drama upstairs. 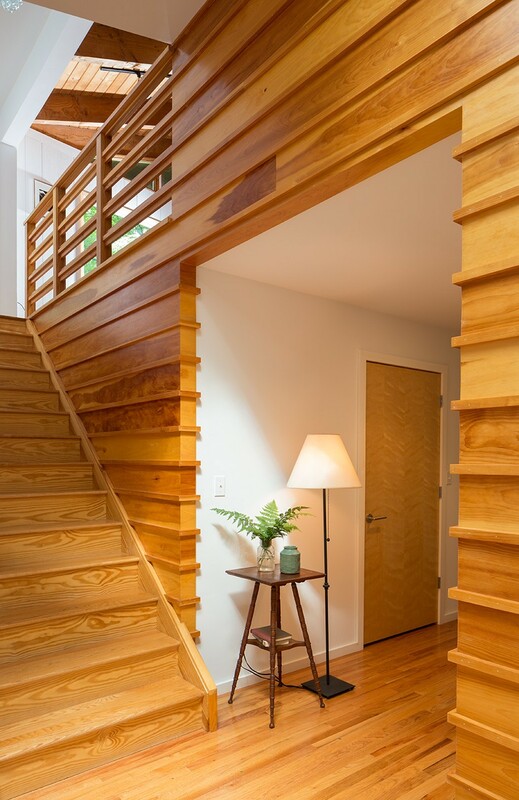 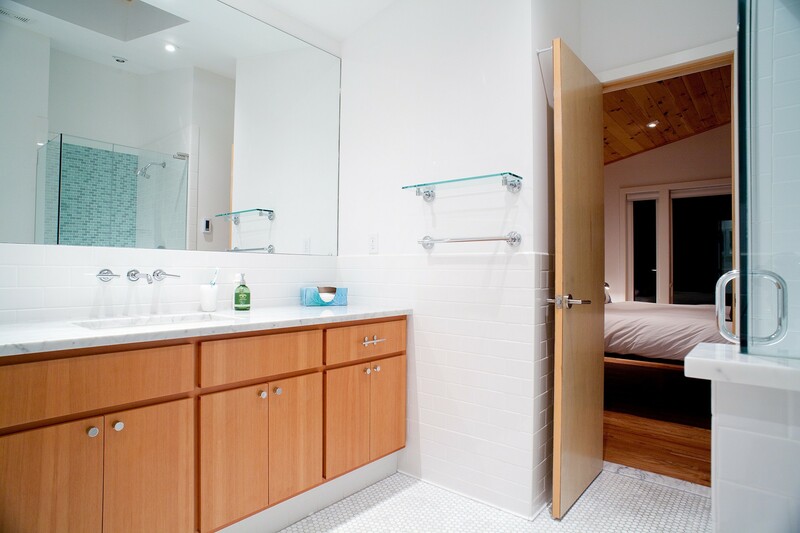 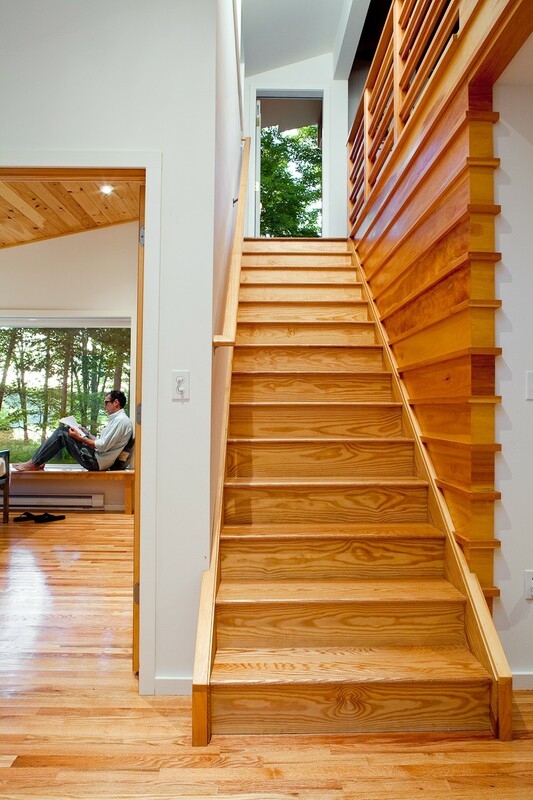 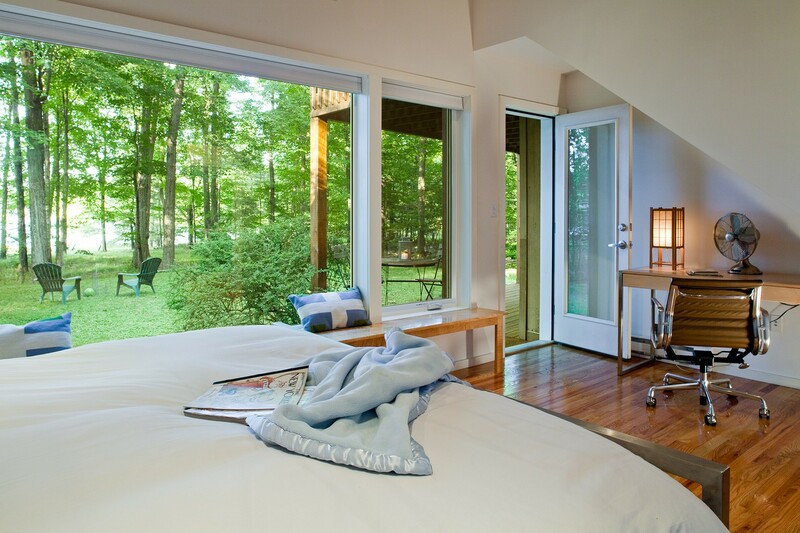 Kindred wood features are continued dramatically in the stairwell then into the bedroom containing full lakeside views.